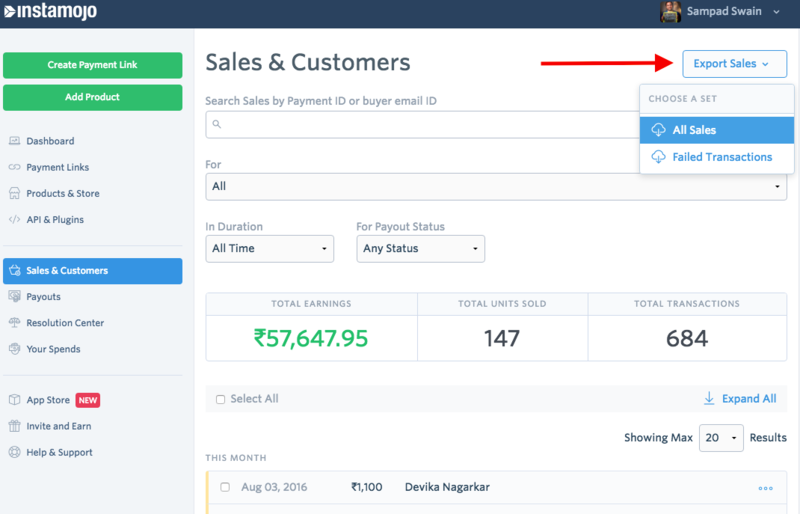 How to view your sales report from Instamojo dashboard? Export Sales: On the right hand side, click on Export Sales and it will let you download the full sales report. 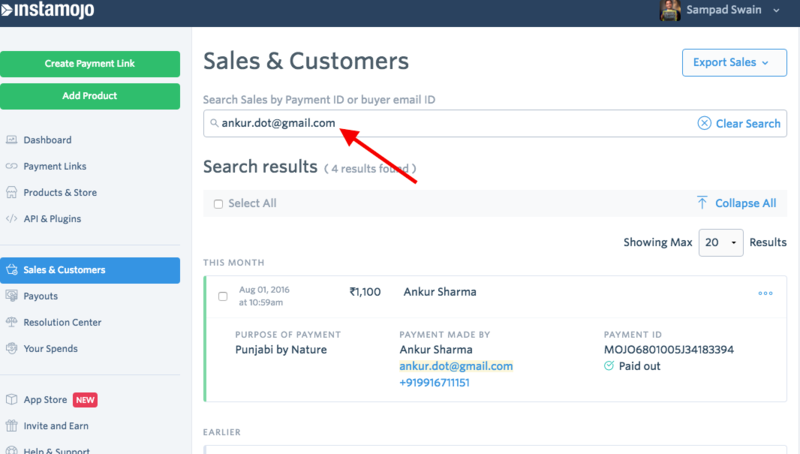 If you want to know about a particular sale by a specific customer, you can use the search bar to enter the payment ID or customer email. 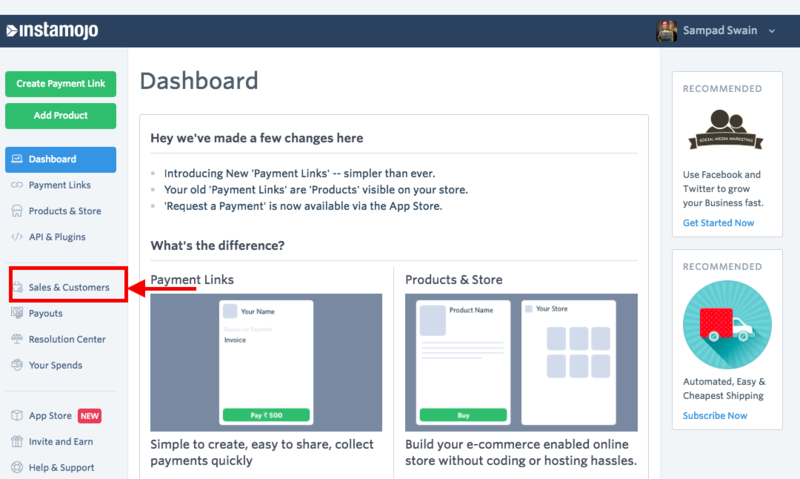 You can also get reports for particular links by selecting your link from the dropdown menu. And further filter out data from a required date range. The Payout Status filter allows you to filter out data with payment status paid out or not.